Jan provides both in-person and remote (also known as distance) healings. If you’d like to schedule a healing after reading the testimonials and reading through the site, start here for in-person and here for a remote healing. 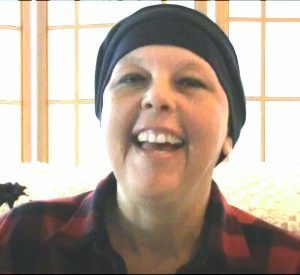 In these two videos, Jennifer, a cancer patient with stage 4 metastatic breast cancer, describes her experience with Jan’s qigong healings. Click to watch Jennifer describing how qigong helped her get an earlier release from the hospital when she had pneumonia, an undiagnosed fever, and a racing heart. Click to watch as she explains how qigong helps improve her post-chemotherapy experience. I kept getting this internal message that I should try qigong. I finally got the opportunity with Jan Tucker. I have been dealing with a lot of physical issues. I discovered from a scan that my whole gallbladder was filled with stones and I would have to have it removed. I got a Qigong healing from Jan Tucker, and she also showed me exercises to do to support my liver and gallbladder. I got a follow-up scan, and the result was that there was only one stone and that there was no need for surgery at this time! Needless to say I was delighted! Since then I have become a regular student in Jan Tucker’s online Qigong class, and I try to practice every day. You can sign up for the class here. No weekly commitment. Come when you can. “I really felt the energy! My body got hot! I was actually sweating. Jan is amazing.” [Qigong is not a strenuous exercise—Helen’s feelings resulted from previously stagnant or blocked energy beginning to flow].